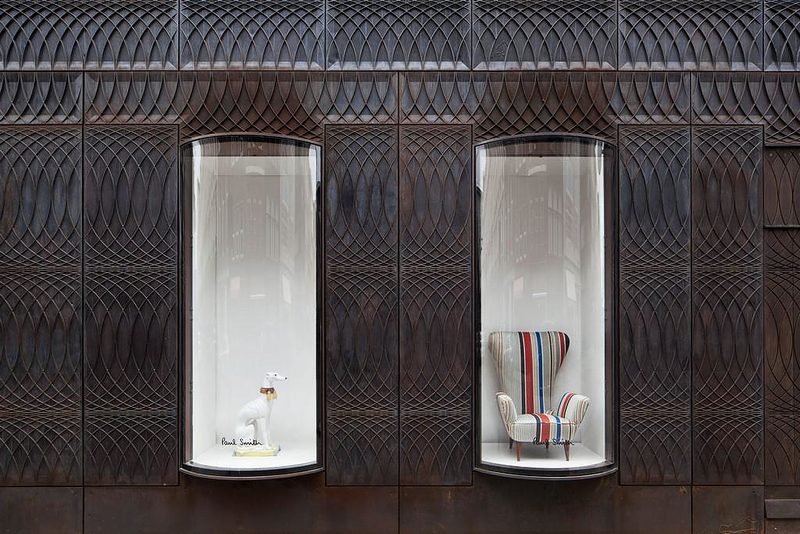 HomeBlogArchitecturePaul Smith Albemarle Street Store Extension by 6a Architects. 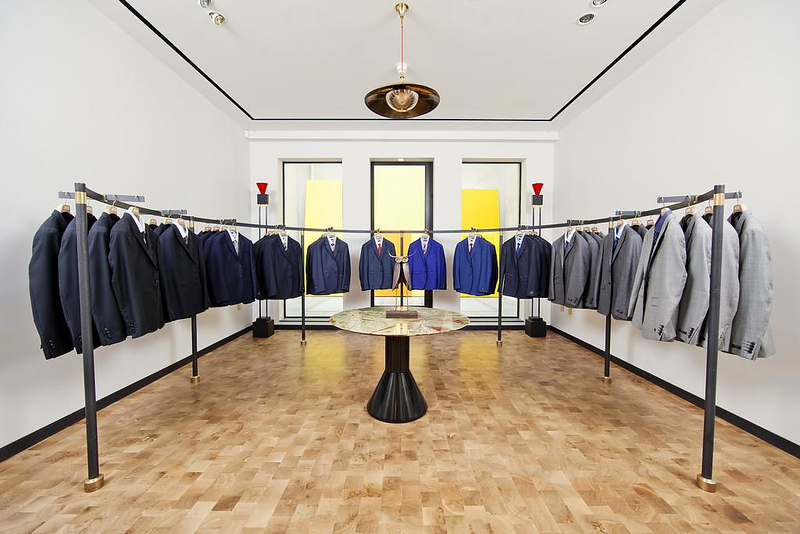 The famous designer Paul Smith collaborated with 6a Architects in order to create an extension for his shop in Albemarle Street, London. 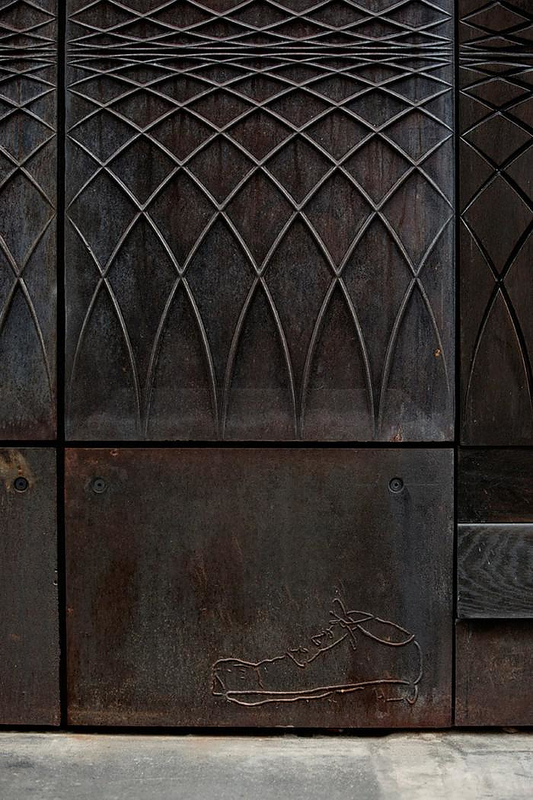 Main feature of the interior is the domino covered wall in the accessories room, while in the exterior front façade; 6a Architects realized Paul Smith’s sketches of metal panels in cast iron. Paul Smith decided to extend his store in Albemarle Street including the next building and unifying both with a metallic façade. 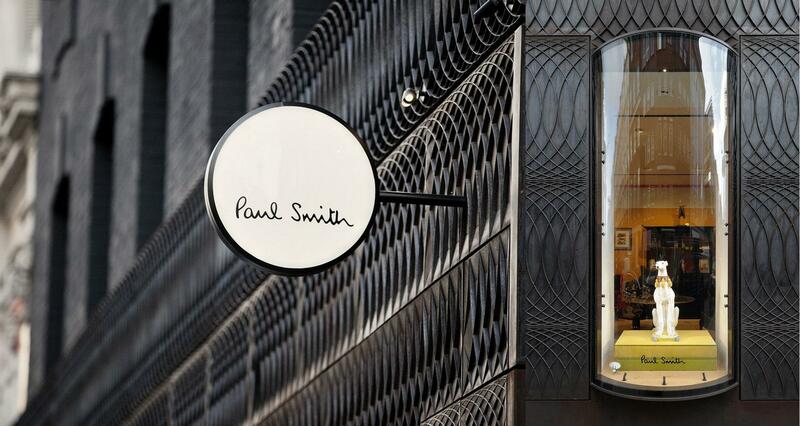 The Paul Smith store is now located in the corner of Albemarle and Stafford Street and opened in August 2013. 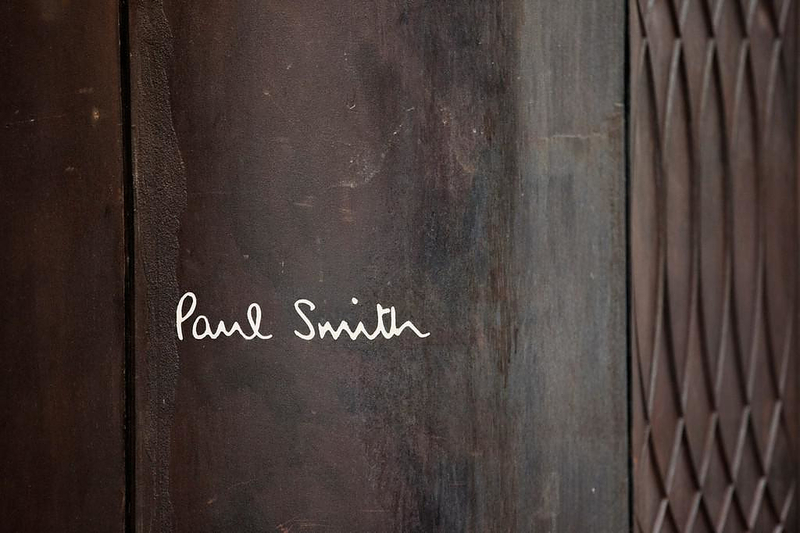 Inside the Paul Smith store in Albemarle Street the interior decoration is minimal and elegant. 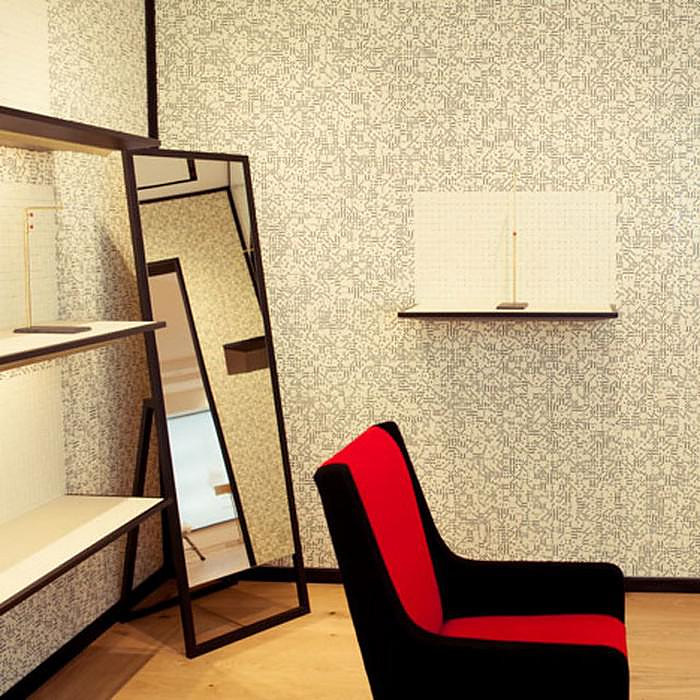 Simple metallic railings hold the clothes with wooden details in the furniture. 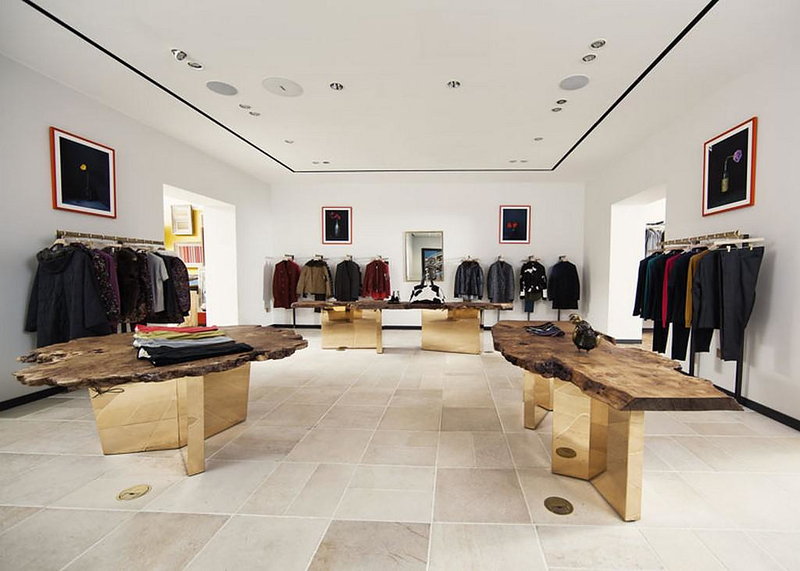 The tables are made of wooden sculpted slabs on geometric metallic stands. 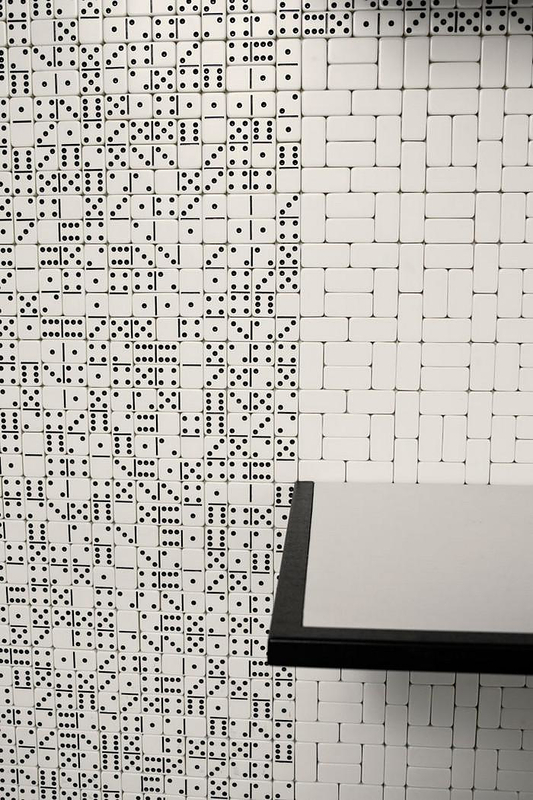 The accessories room’s walls are covered in dominoes creating a dotted pattern looking like encryption code. 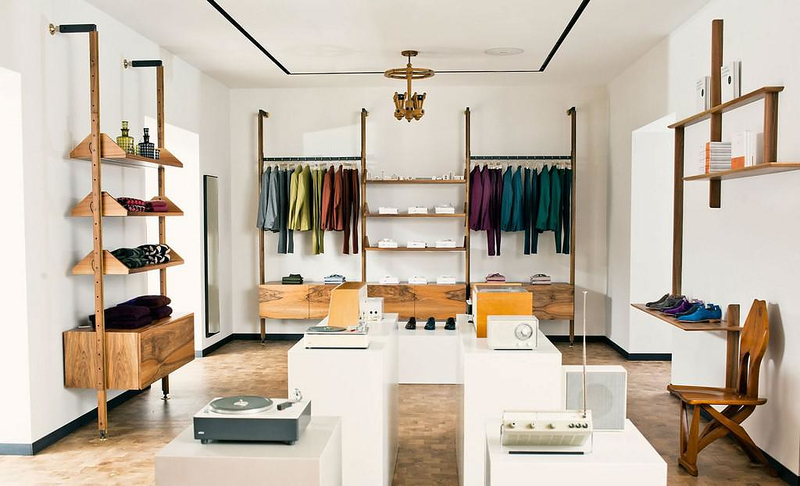 Behind the display shelves the dominoes are empty in order to create a clean background for the merchandize to pop out. 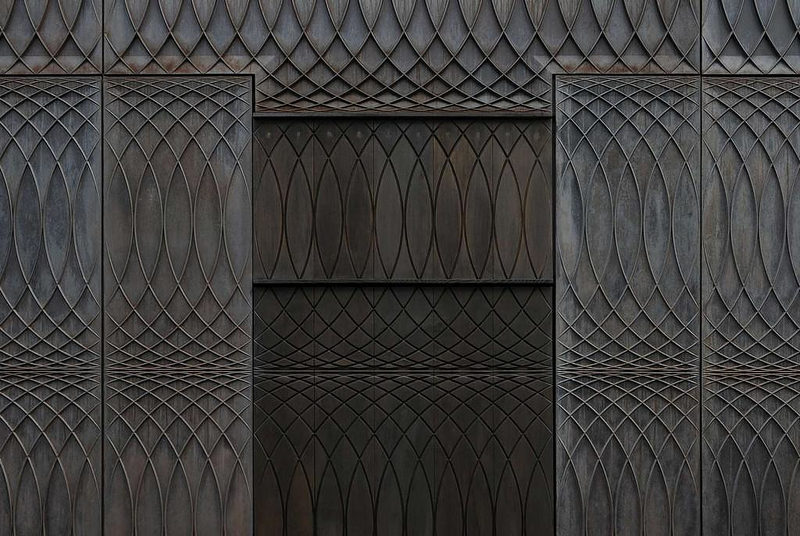 The architectural studio 6a Architects based the pattern of the exterior metal façade on hand-drawn sketches by Paul Smith. 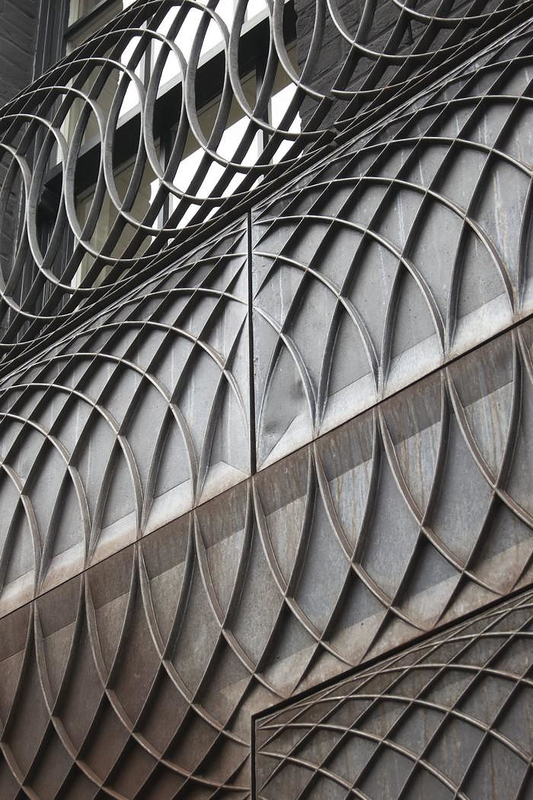 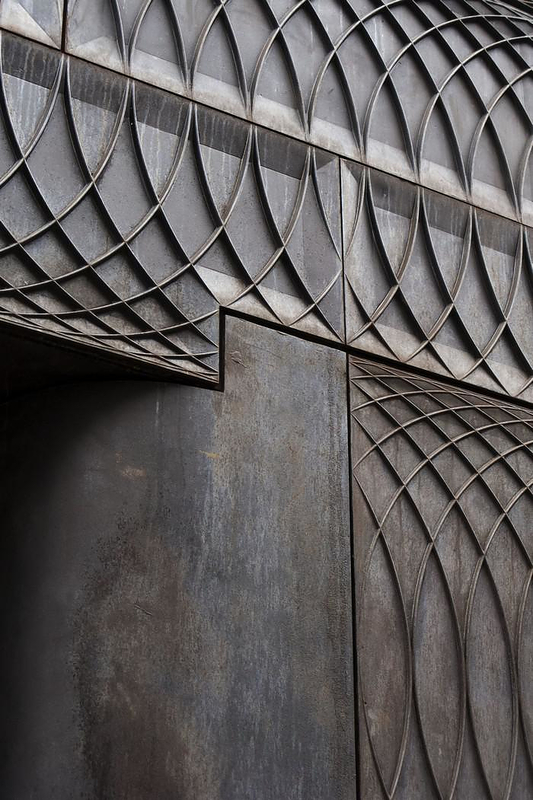 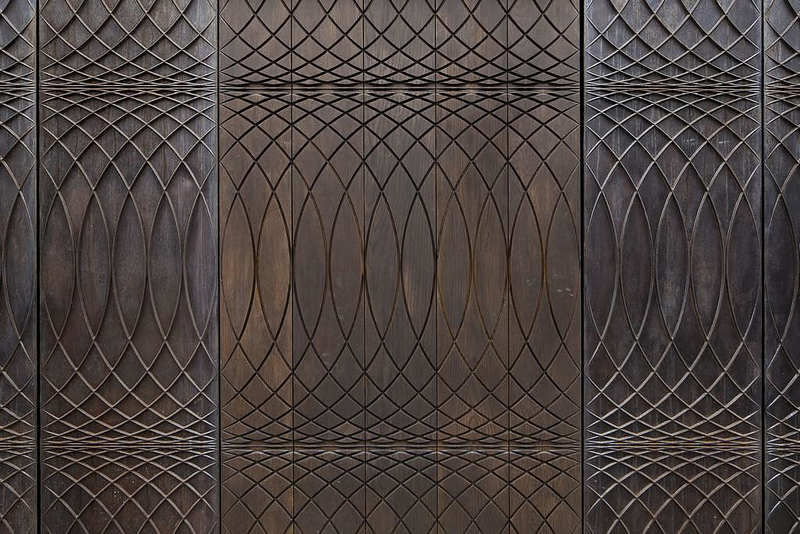 The pattern has intercepting circles and is entirely made of casted iron. 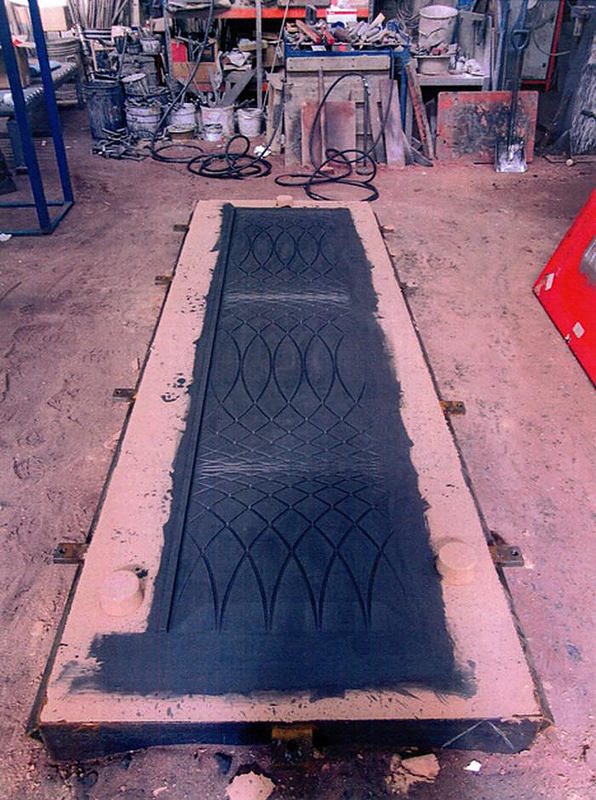 This material was specifically chosen as characteristic of the British capital, used in many architectural elements of its buildings. 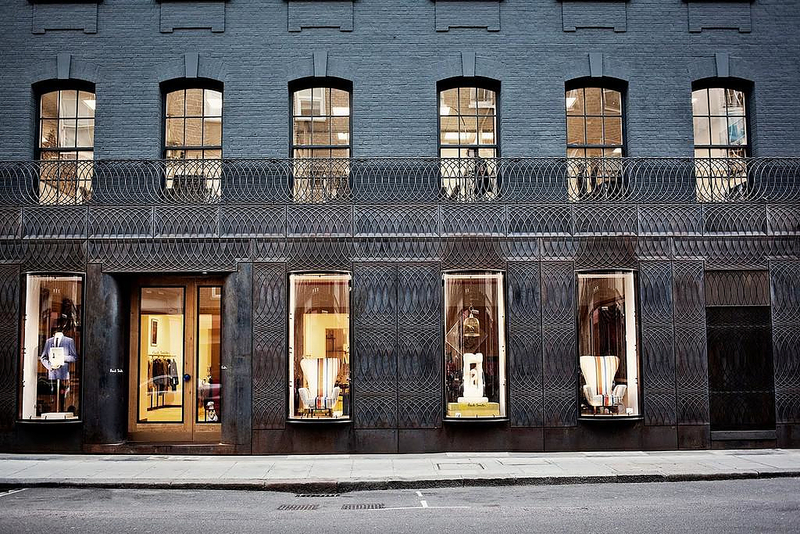 Glass display units protrude from the dark façade. 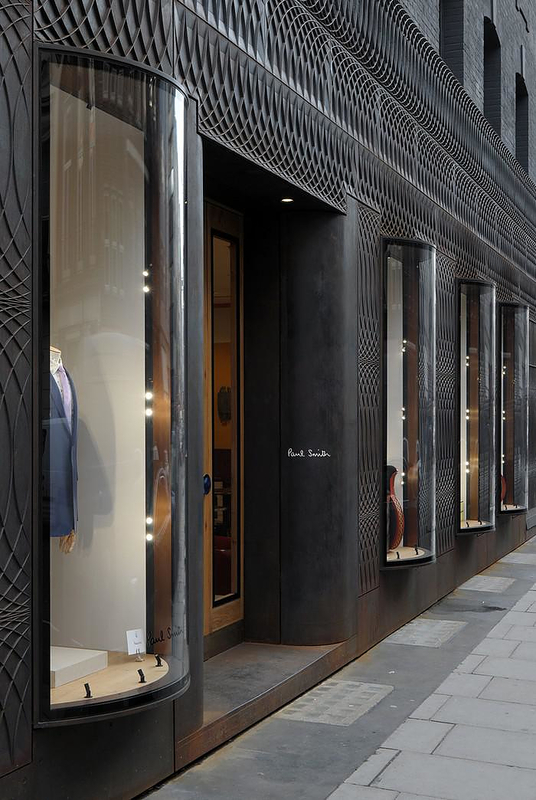 The dark color makes the Paul Smith store contrast the Georgian buildings of the area. 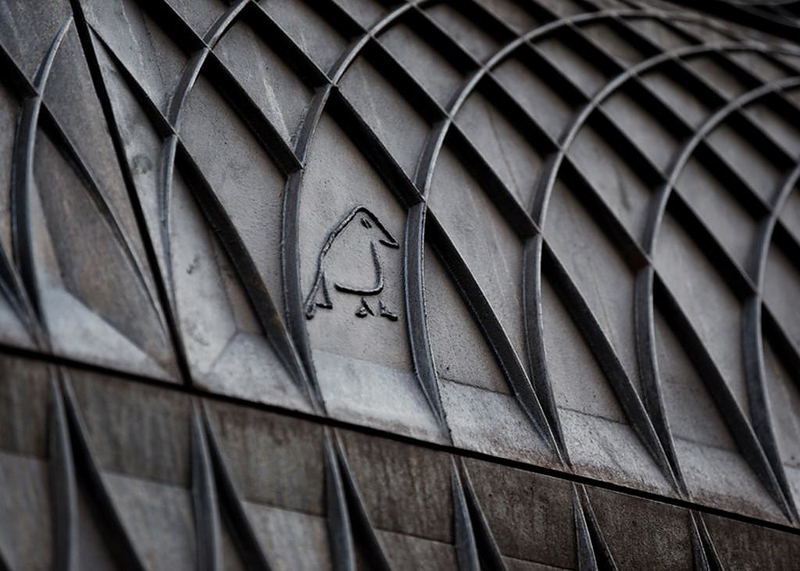 Small details of the metallic façade are three sketches drawn by Paul smith, scattered on the surface and waiting for the visitor to find.